Lighthearted wishes will be conveyed with this beautiful Happy Birthday card. 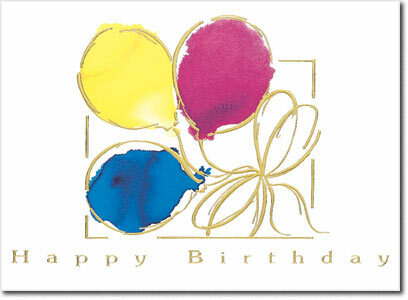 Colorful balloons are held with gold foil ribbon on this white card. Perfect for anyone on your list. These cards can be personalized with your company or family name.